Stable adjustment in optical paths. Long-term positioning: High stability at target position, reliable startup even after longer downtimes. 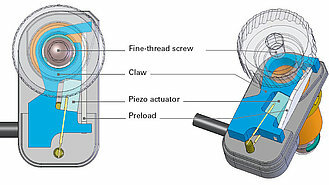 High holding force and resolution by combining piezo actuators with mechanical thread translation.